I've been reading and watching about culinary innovations all over the world, especially on Asian cuisine. One thing I have noticed is the emerging popularity of K-town cuisine, much like our own, particularly in L.A. and New York. 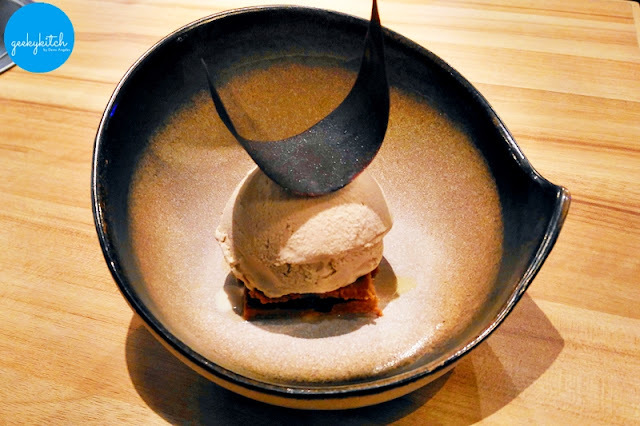 As a melting pot of different cultures, it doesn't come as a surprise that people start combining traditional cooking techniques with recipes from all over the world to produce one-of-a-kind dishes. 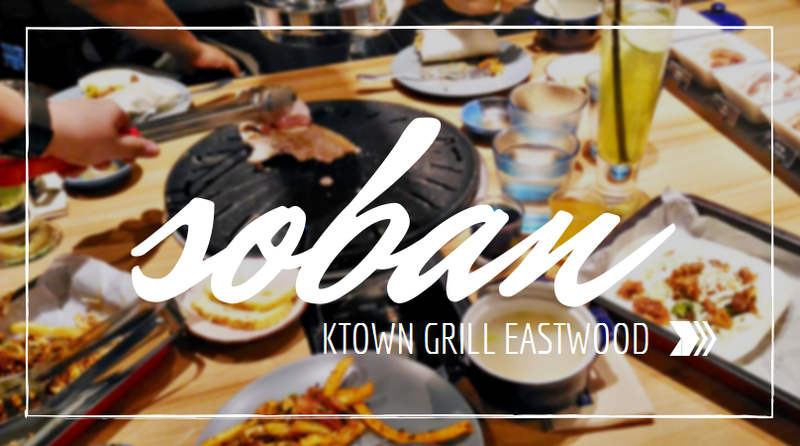 Filipinos will now have a taste of K-town in the Philippines with the opening of Soban K-Town Grill! 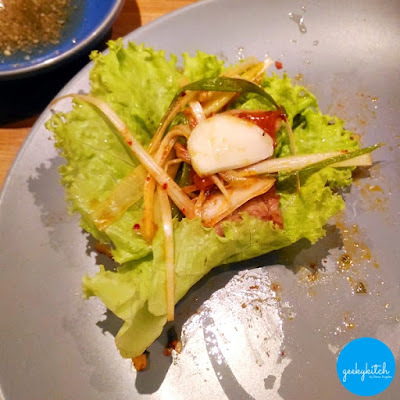 This was made possible through the collaboration of Sariwon Korean Barbecue's award-winning restaurateur Mr. 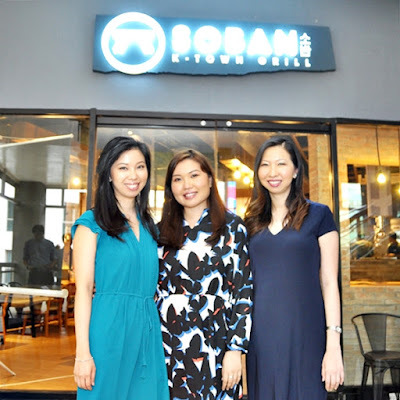 Sung Rah and Happyfoods Group (behind Jollibee and Sariwon Philippines) with its managing partners Ms. Donna Tan-Ng, Ms. Dorothy Tan-Dee and Ms. Diana Tan-David. Through my friend Duane, I was one of the media/bloggers to try this new restaurant concept. How to play: Person A points to Person B while saying 'kong', Person B points to Person C while saying 'kong' and Person C points to Person D while saying 'chil'. When Person D points to Person E and says 'bang', the people beside Person E should raise their hands or else, they need to drink. Ideally it is played in a circular table without pausing. Now it's time to eat! 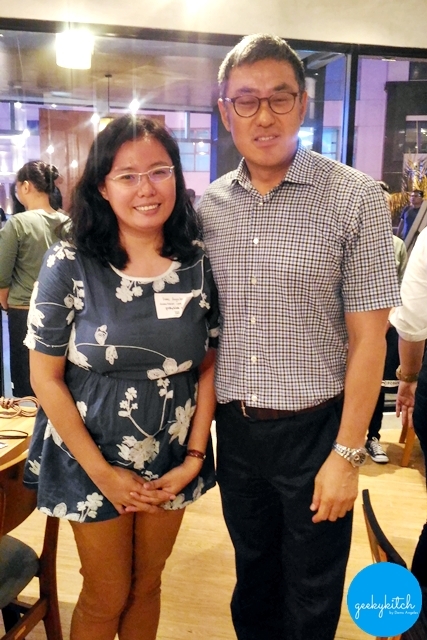 I shared a table with Ms. Peachy and her husband, Sir Alvin. 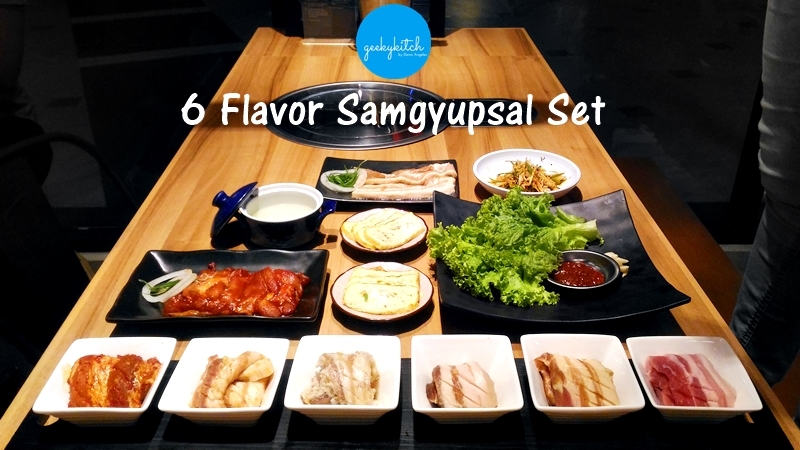 First up: the 6-Flavor Samgyupsal Set, Soban K-Town Grill's house specialty. A group of 3-4 people will enjoy 540g of grilled pork belly goodness, served with unlimited rice, salad, bone marrow soup and egg roll. Kindly ask the staff to fire up your grill. Grill the meat for 30 seconds on one side then turn over. Turn your grill knob to low. Grill for another 30 seconds. Turn the meat again for another 30 seconds and watch it sizzle. Turn the meat over and cook for another 30 seconds. Cut the meat into small pieces (around 1.5") then turn the meat over again and grill for another 30 seconds until glossy. Definitely #Krazy4SobanKTown! 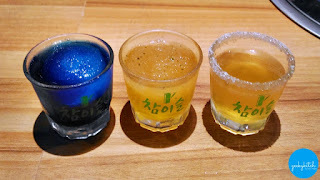 Soon on geekykitch.com ?? Eat it with a lettuce wrap or rice. 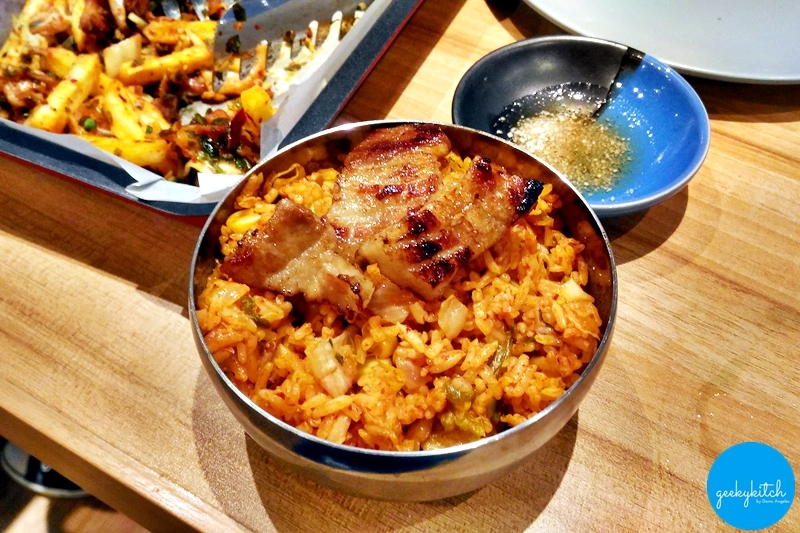 If you opt for rice, I recommend upgrading to hot Kimchi rice (just add P15). If you can't take the heat but would like to eat kimchi rice, you can request for a lighter version. For an appetite of one, Solo Samgyupsal set is available in 90g, 120g and 180g servings (P315 - P405). While waiting for the meat to be grilled, I tried one of Sung's Picks - the K-Taco! 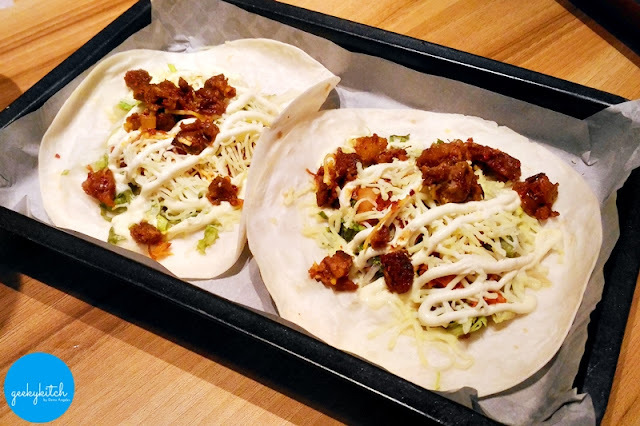 The Korean taco is made of soft flour tortilla with a choice of Korean barbecue meat (spicy chicken, pork or beef bulgogi) topped with lettuce, kimchi, sour cream, and cheese! The menu comes with a number of dessert items. 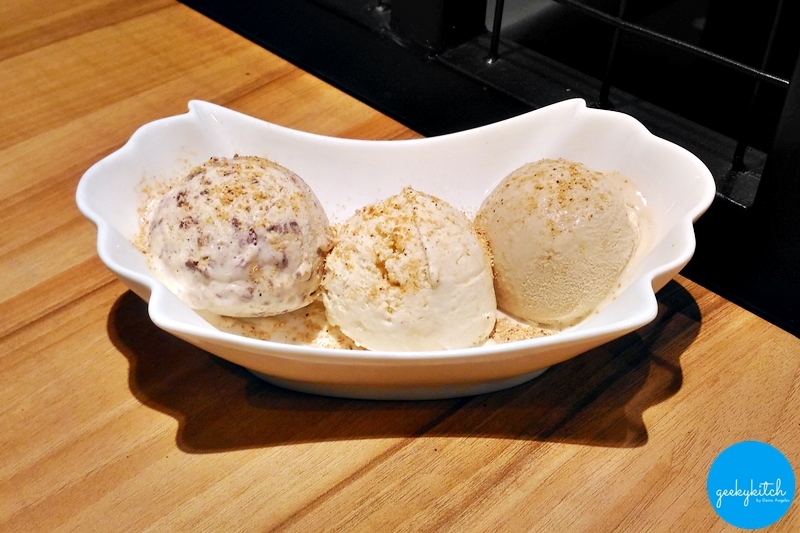 Enjoy three scoops of homemade Cookies & Cream, Vanilla or Coffee ice cream with Ice Cream Trio or try the visually enticing Coffee Prince with a scoop of coffee ice cream on top of graham and Korean red beans. 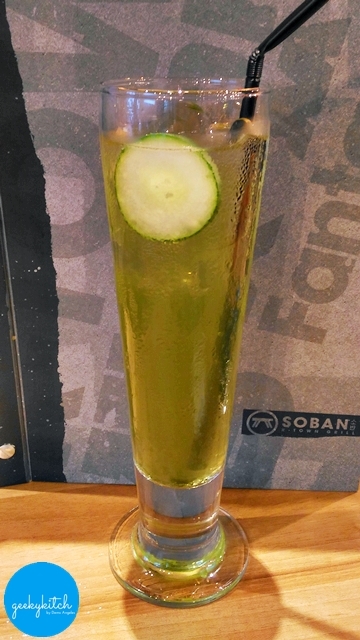 All that goodness was washed down with a glass of Green Iced Tea, a refreshing drink with lychee sweetness! 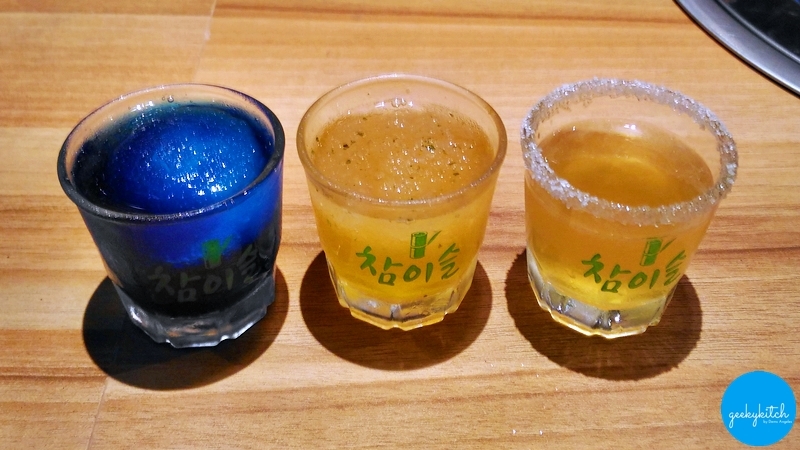 They also carry bottled beers, soju and Korean wines, perfect for celebrations. 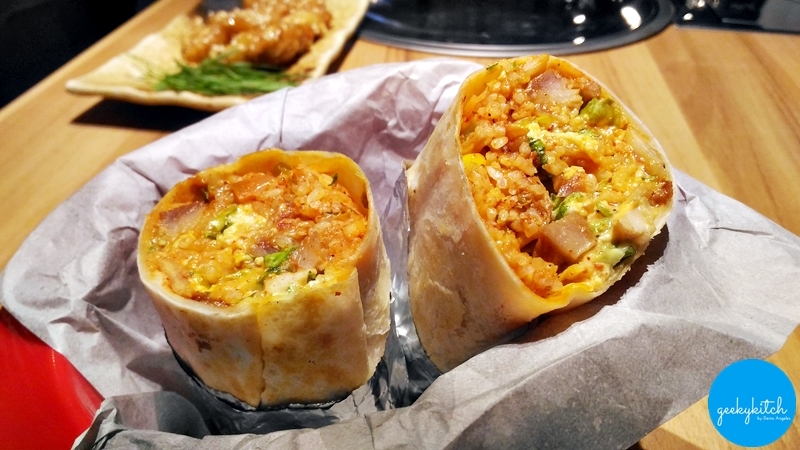 Next time I hope to taste their Korrito, a Mexican burrito with a Korean twist. 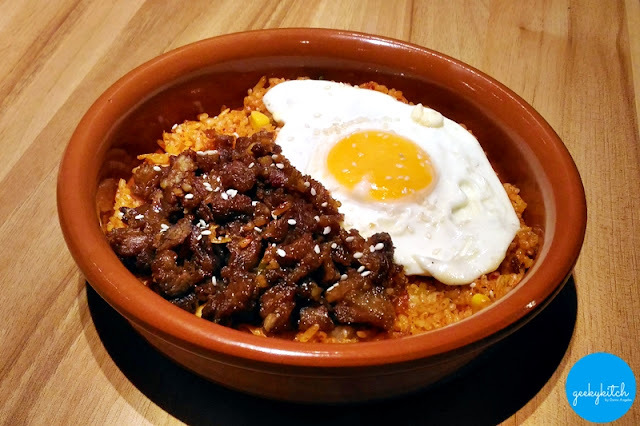 Maybe we'll order some a la carte rice items such as the Korilog rice bowls (Korean tapsilog) and Beef Bulgogi Bap. 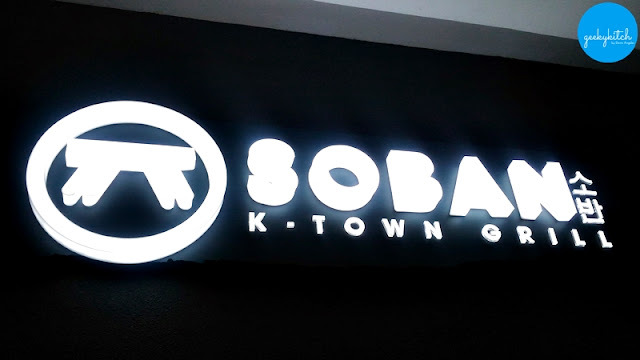 Visit Soban K-Town Grill at the 2F Eastwood Mall, Libis, Quezon City. 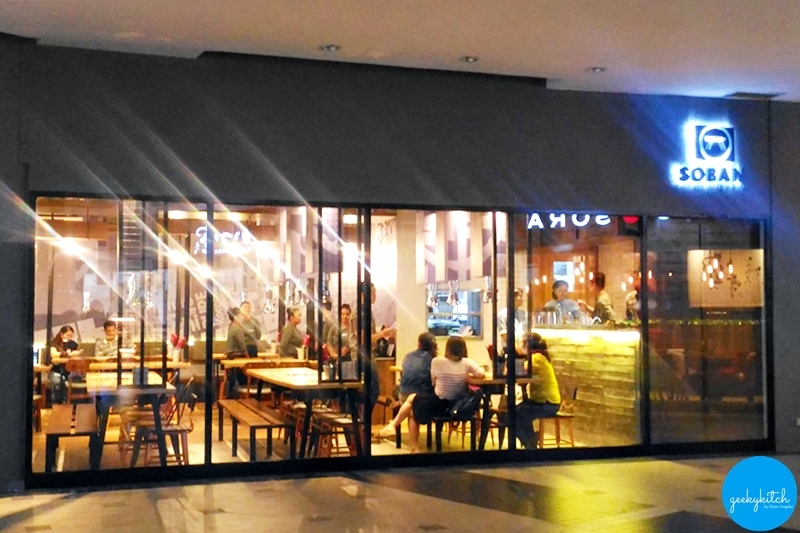 They are open Mondays - Sundays from 11AM to 10PM. Follow them on Facebook and Instagram.